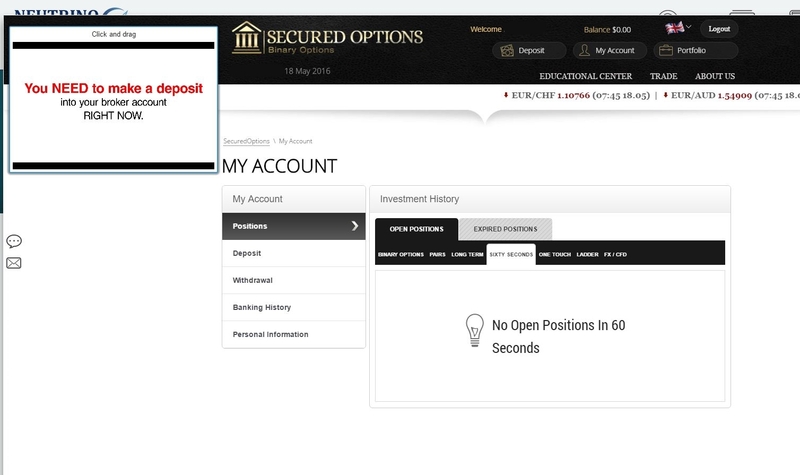 In this review you will find proofs that “Neutrino Profit App” is a binary options scam. It is presented by James Taylor. Taylors claims that the Neutrino App can make you $1,000 per day if you become a beta tester. The software works completely on autopilot, so you don’t have to learn anything. The app allegedly take advantage of small delays in pricing. According to Taylor his software has a 92 % win rate. Becoming a beta tester is free, so you can get the Neutrino Profit App for free. Let us explain how the Neutrino Profit App scam works. Taylor is affiliated with a certain broker and will get paid for every new depositor he refers. So he needs you to deposit money with his broker, because it will earn him a commission. The Neutrino Profit App is in reality worthless and if you trade with it, you will lose your money. The Neutrino App presentation starts with some testimonials, but they are fake. They were made with paid actors, look at the example on the right. This guy presented The Millionaires Club as a millionaire called Richard Brown. Now the poor guy is happy to make $1,000 with Neutrino Profit App, what a fun. You can also have a look at the posts on social accounts, they are completely fake too. Taylor also shows some allegedly real results of his app. But they are faked again. Look at the picture on the right, you can see that time and price on the chart of Gold does not change a second between screens. Because we explained how this scam work you can guess that in reality it is not free. You won’t be able to use the Neutrino App untill you deposit at least $250 with a selected broker. See the picture what is the first step. The Neutrino Profit App is a total scam. It can easily make you lose money, because it cannot trade profitably. If you are interested in seeing how real money is made in binary options trading, try a free demo account. You have to understand that nobody will make you money for free, you have to test and learn trading in order to succeed with binary options. thanks for the wonderful job you are doing to unmask these scams. please can you recommend someone or a reputable company that can teach a newbie like myself how to trade ? Hi, I’m sorry but I don’t know.